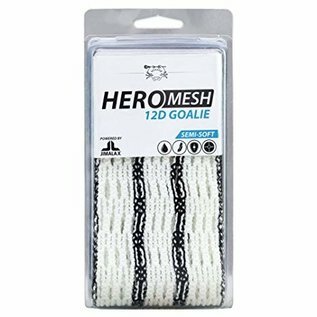 HeroMesh is the result of a collaboration between two leaders of the lacrosse mesh industry, East Coast Dyes and Jimalax. HeroMesh combines the innovative vision and design of East Coast Dyes with the world-class manufacturing capabilites of Jimalax. HeroMesh was engineered to provide players with the ultimate level of feel and hold. Waterproof - Our new LTH™ fibers are fully waterproof. They will not expand or contract in blistering heat, freezing cold, rain, or snow. Hyperweave™ - Hyperweave™ is our super tight knit pattern, which creates perfectly shaped diamonds and adds texture for increased feel and control. Lightweight - LTH™ fibers are extremely lightweight and durable. This translates to increased feel and faster shots, without comprimising strength. 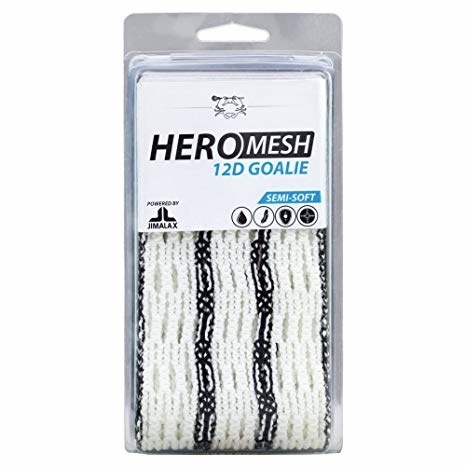 Responsive - HeroMesh is engineered with a semi-soft feel, which allows your pocket to move with the ball as you catch, cradle, pass, and shoot. HeroMesh is made with pride in the United States.